Trishya Screwvala founded The Lighthouse Project with the aim of creating structured and accessible platforms for volunteering. She offers three reasons why volunteering can be one of the most transformative experiences for an individual. 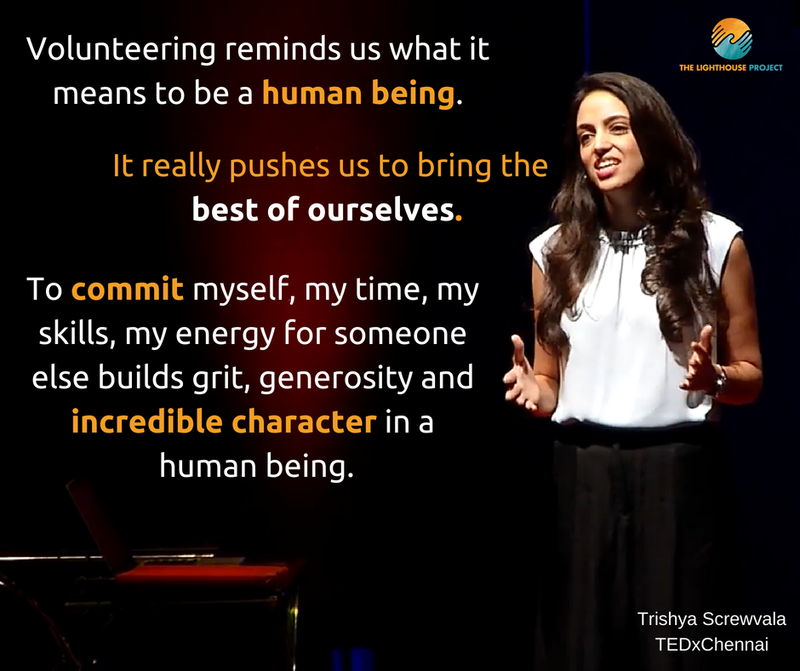 In an inspiring talk, she highlights how volunteering encourages each of us to bring forth the best version of ourselves, and can serve as a powerful tool to effect change in our world.